4 Bedroom Detached House For Sale in Stoke-on-Trent for £595,000. 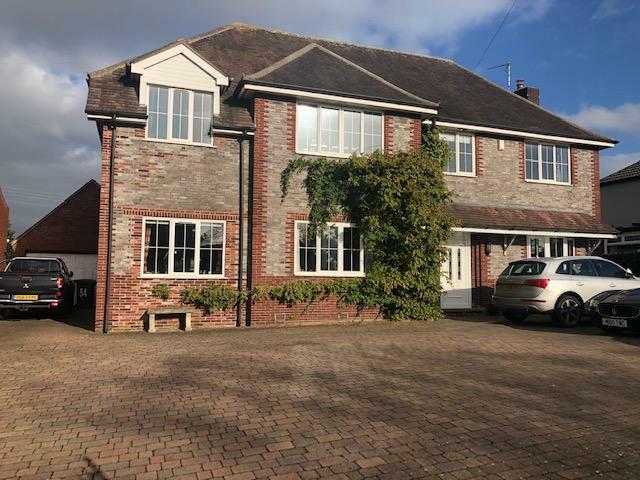 NO UPWARD CHAINA simply stunning, detached traditional style family home which is located in a fabulous position set back from the road and approached via electronic double gates and overlooking the most beautiful rolling farmland to the rear. Internally the property is equally impressive with superb attention to detail throughout. The accommodation briefly comprises spacious and welcoming entrance hall, study, dining room, lounge with beautiful marble fireplace, Stunning open plan family dining kitchen which enjoys the views, guest WC and utility room. On the first floor there are four double bedrooms, two ensuite shower rooms and a family bathroom. Externally there is double detached garage with ample storage above. The rear garden is mainly laid to lawn with an established hedgerow, and affords fantastic views beyond. Internal and external viewing is strongly recommended to appreciate all that this property has to offer. This room is truly amazing and offers an ambundance of space complete with solid oak units, drawers, and display cupboards, built in appliances, fridge freezer and separate fridge, and dishwasher, granite work surfaces and a fantastic size island again with plenty of drawers and cupboards, marble flooring, belfast double sink with swan neck monobloc tap over, space for Range cooker, Upvc double glazed windows to rear and side elevations, double french doors leading to rear garden and overlooking open views, vaulted ceiling with three velux windows, recessed downlighters, TV aerial point. Great room having space for two desks and storage, two Upvc double glazed window to front and side elevations. lovely size family bathroom with a white suite comprising pedestal wash hand basin, WC standalone rolltop bath with claw feet with shower and enclosure over, fully tiled big tiles to wall, vinyl wood effect flooring, obscure UPVC double glazed window to rear elevation. You will enter the property via electonric double gates which lead to the block paved extensive driveway providing ample off road parking and leading to the double detached garage that has ample storage above, and has a courtesy side door leading you to the rear garden, which is mainly laid to lawn with a patio area and timber shed, overlooking open farmland and beyond.